Princess Wisdom, known as Dizzy, longs for a life of excitement beyond the staid old kingdom of Montagne. Tips, a soldier, longs to keep his true identity a secret. Fortitude, an orphaned maid, longs only for Tips. These three souls might possibly attain their dreams while preserving their empire from ruin - if only they can bear one another's company long enough to devise a plan. 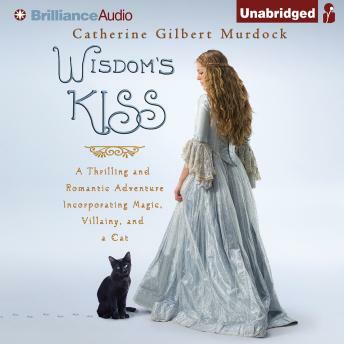 Romance and adventure join forces in this hilarious tale told in diaries, letters, an encyclopedia, and even a play, all seamlessly stitched together by Catherine Gilbert Murdock, author of Dairy Queen and Princess Ben.